Valves are linear with rounded apices. 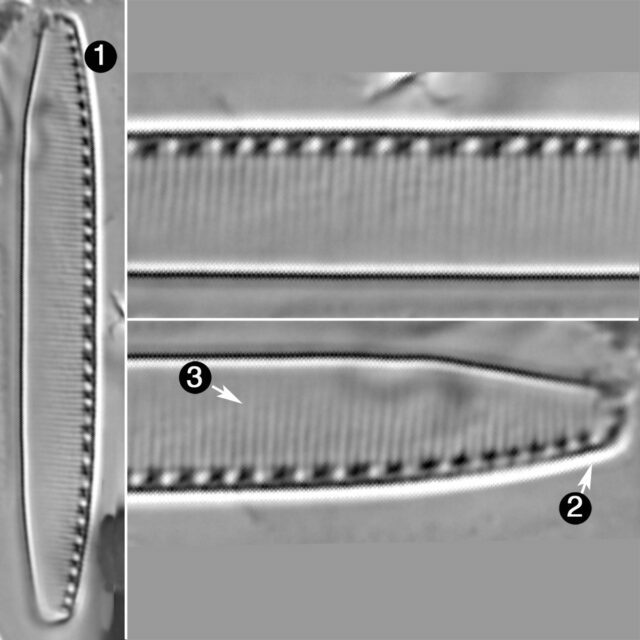 Fibula are relatively large and distinct, about 10-13 in 10 µm. Striae are resolved in the light microscope but very fine. Individual areolae within striae are not visible. Rabenhorst, L. (1860) Die Algen Sachsens resp. Mittel-Europa’s. Decas 95-96. no. 943-953 etc. Valves linear with rounded apices. Fibulae are relatively large. Striae are fine and number 32-38 in 10 µm.